This blockish Perpendicular church is a familiar sight on its rise high above the A140. At first, you might think it a completely 19th century affair, but enough idiosyncrasies survive to suggest that this Victorian restoration was a renewal rather than a rebuild. There is a very good late 20th century addition to the north side, a meeting room in the style of a great porch, with a triple lancet of windows. The red brick south porch is rather more utilitarian. We arrived at the church to find it a hive of activity; all the hedges that hid the graveyard from adjacent houses were being cut down. The reason for this soon became clear. 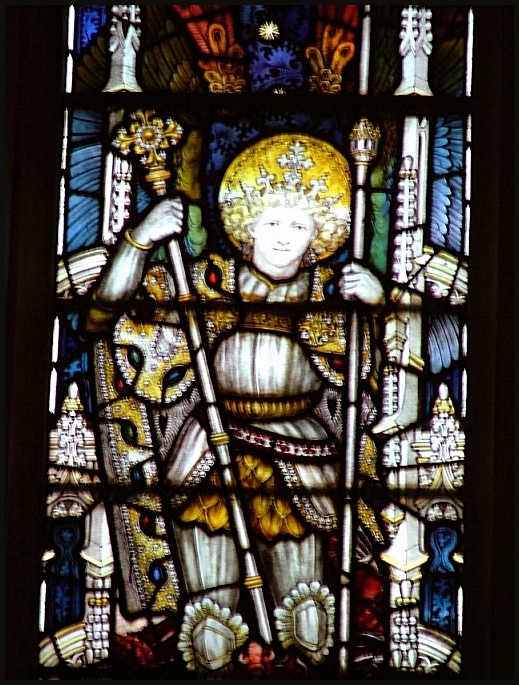 A few weeks previously, stones had been thrown through the south nave windows, breaking glass but aso severing the lead tracery. The broken glass was just a group of Victorian quarry tiles, but the windows would need extensive repair. A couple of handfuls of pebbles had caused more than ten thousand pounds worth of damage. Since the best defence of a church is activity, and good neighbours are those who can see what is going on, the hedges were coming down; a little too late, alas. The hooligans had also stamped on the floodlights which make this building ordinarily such a landmark on the busy road. 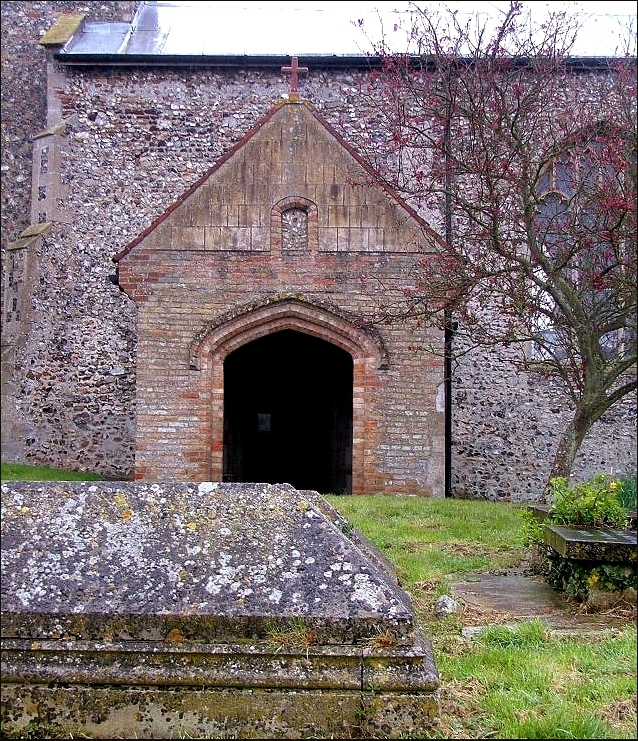 It has to be said that, typically of this area immediately to the south of the city, the church is always kept locked, and so it wasn't a case of a church being left wide open to the depredations of vandals and thieves. 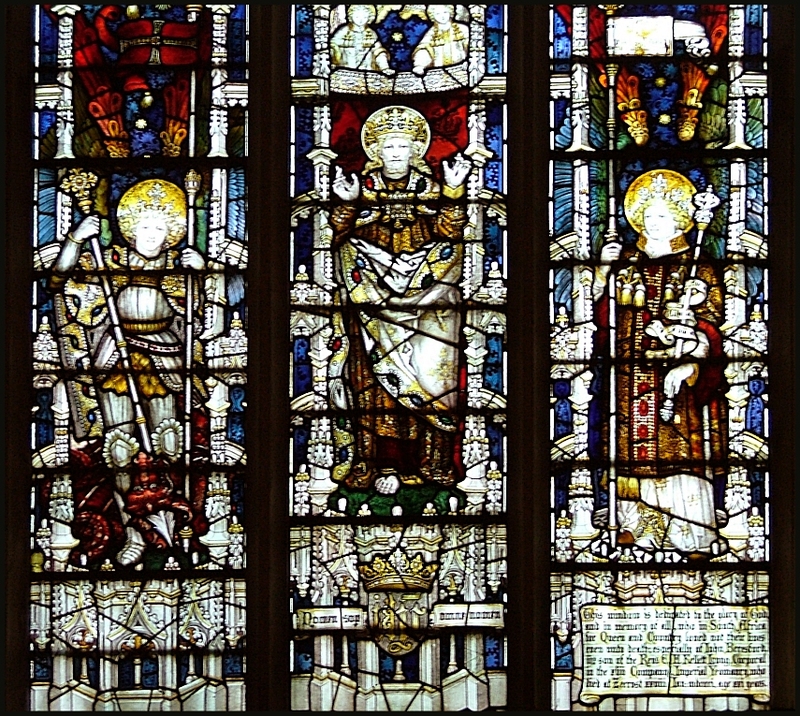 Fortunately, none of the stones had gone through the east or west windows, for these are some of the best works in the county of the Kempe workshop. 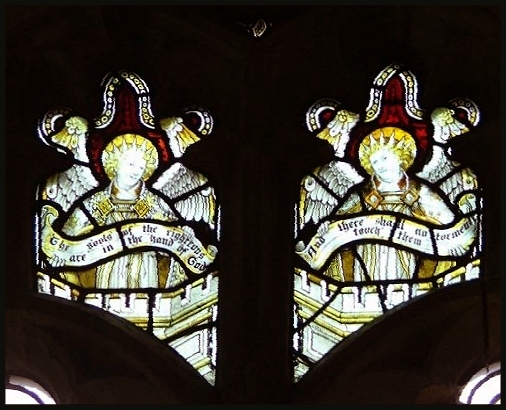 That in the east window is particularly fine, showing the Risen Christ flanked by St Michael and St Gabriel. The stones had narrowly missed three exquisite Continental roundels. 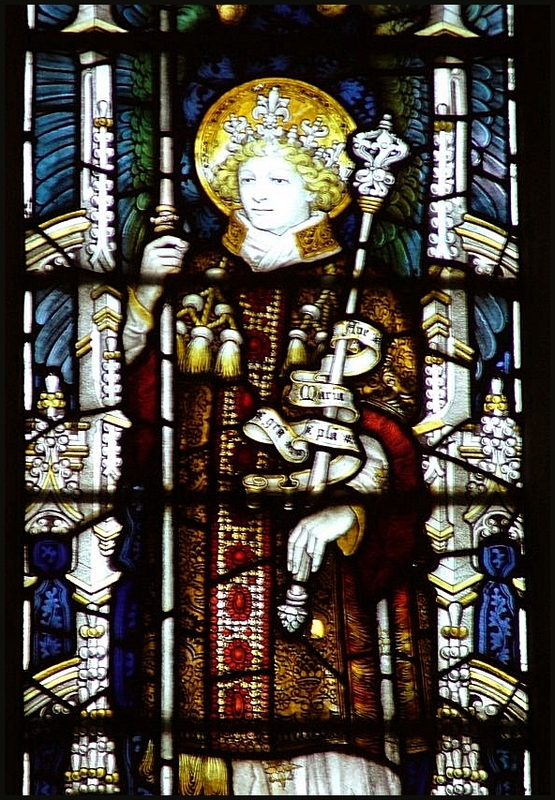 These depict St Margaret, St Stephen, and a King building a church. As you'd expect in this area of Norfolk, our presence was the cause for a certain amount of suspicion, but when the lady with the key found out that we were just enthusiasts, and obviously not international stained glass thieves, she was very chatty and forthcoming aout the daily life of the parish, which seems a busy one. 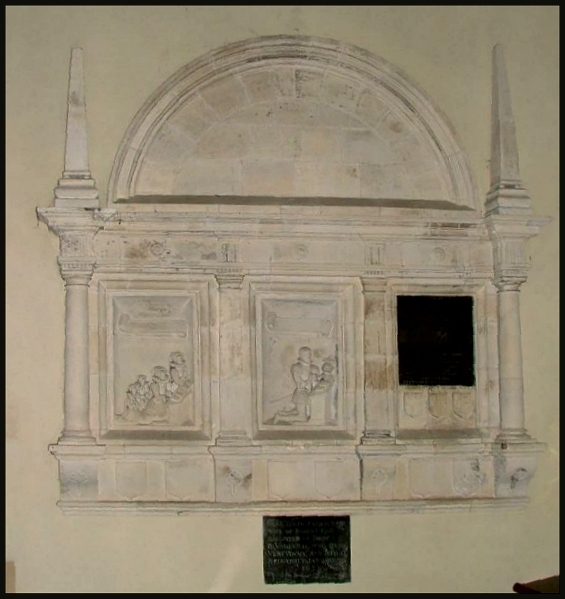 She showed us the great treasure of the church, the massive Blundeville memorial on the south side of the chancel, one of those big, pious and yet largely secular Elizabethan memorials that seem intended to blot out the sacramental activities of the pre-Reformation Catholic church, in this case taking the place of what must have been an Easter Sepulchre. The brass inscription is well worth a read. 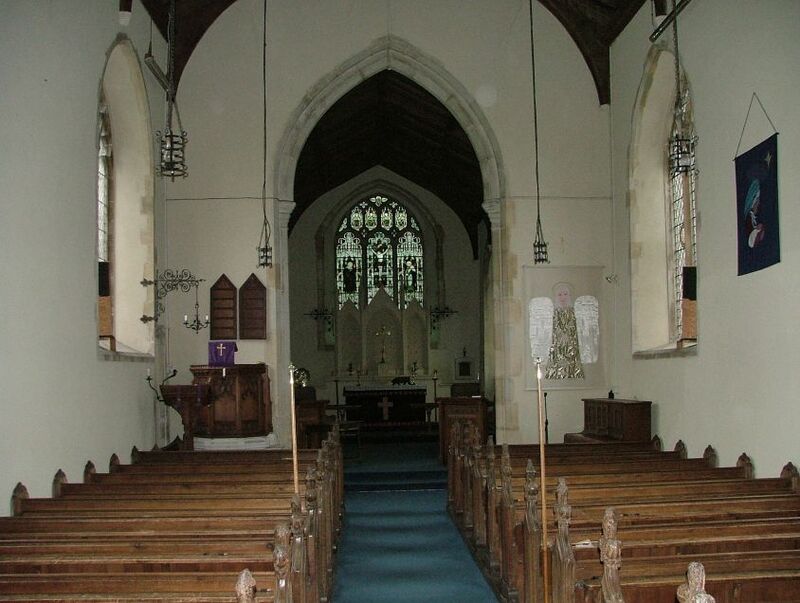 A quiet and, apart from the Kempe glass and the Blundeville memorial, a simple village church. I was pleased we'd seen inside. I asked the lady who she thought had been responsible for the attack, and she thought for a moment before she suggested that it was perhaps a gang of kids, or possibly football hooligans. But she didn't sound convinced, and I wasn't either. The thing is, this was the third church in this area today where I had seen windows smashed by thrown stones. Although the damage elsewhere wasn't as bad as here, I didn't think it likely that a group of teenagers or football fans would have bothered to have travelled from one church to another just to throw stones through windows. I thought it was more likely that this had been a deliberate attack on the buildings simply because they were churches. Over the last year or so, there has been an increasingly vocal anti-religious strand in English popular culture. I have heard serious radio programs where militant and influential humanists have expressed views of hatred on the subject of organised religion that have seemed to me near-fascist. The hysterical attack on faith schools is a case in point. I dread to think what these people may be legitimising. 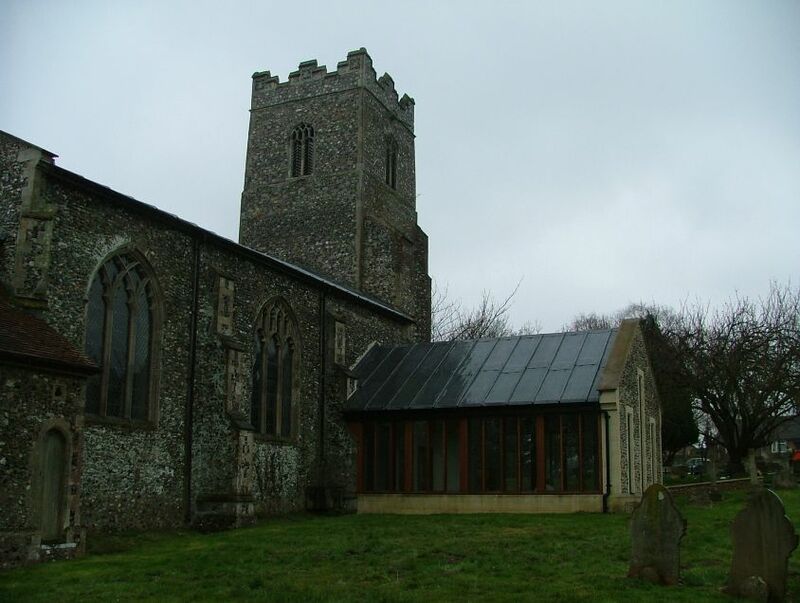 It also occured to me that this area of Norfolk is unusual for having so many locked churches. 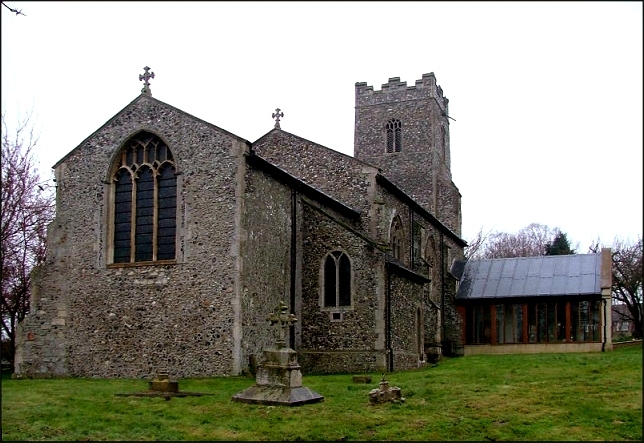 Across huge swathes of this great county, the churches are open all day, every day; that is to say, at least 75% of the 600-odd churches I have visited in Norfolk so far. We are told again and again by the church insurance companies that locked churches are far more likely to make a claim for damage than unlocked ones. 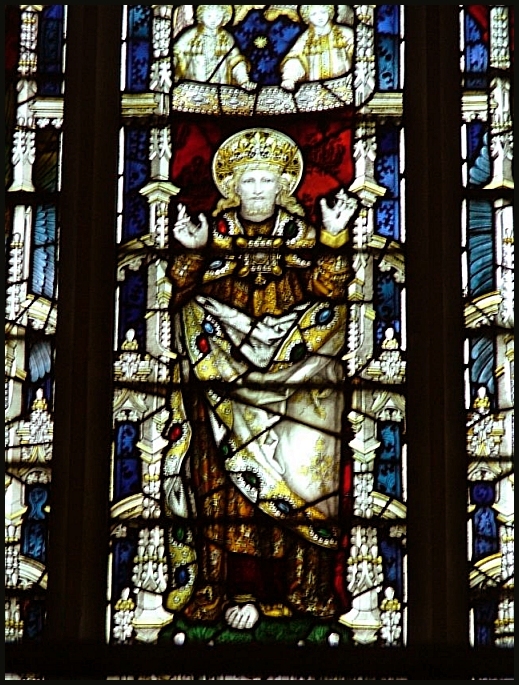 Churches which are kept locked all day are more likely to be vandalised, more likely to be broken into, and even more likely to have something stolen from them. It is as if open churches, by being welcoming, recruit passers-by, strangers and pilgrims by giving them a sense of shared ownership. 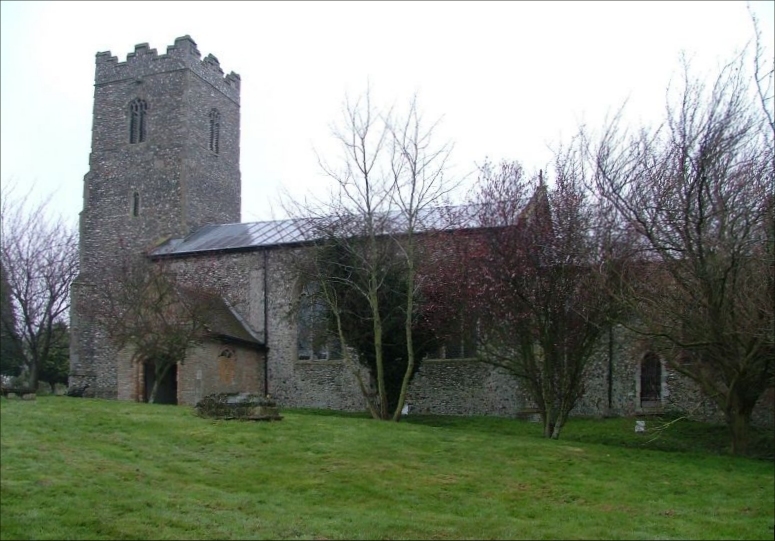 In all East Anglia, I had never before come across anything like this, three churches all near each other being vandalised in the same way. The incident is appalling, but It did make me think that if it was going to happen, then it would probably be in an area of locked churches like this.